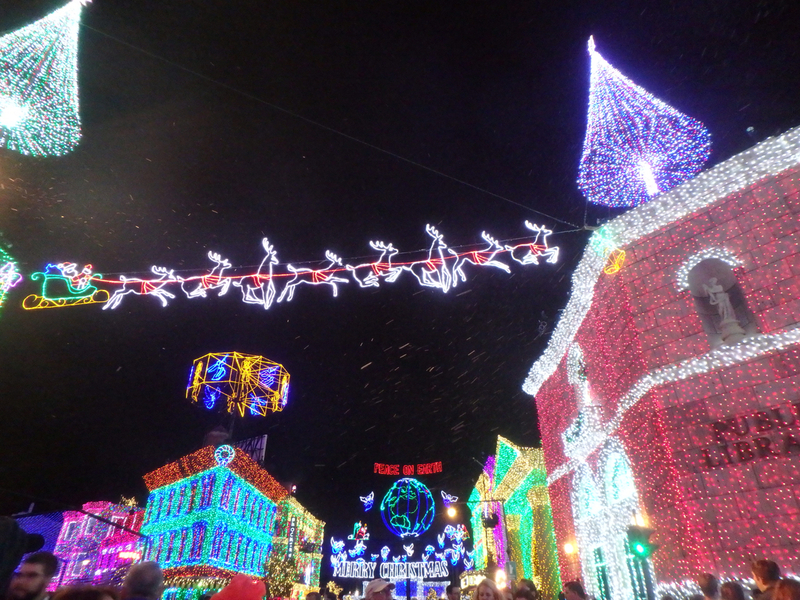 The last few years we have enjoyed visited Walt Disney World during the holiday season. 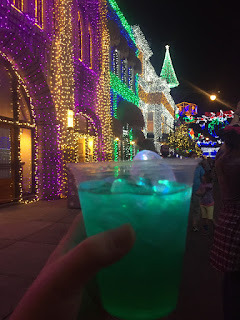 This year we only got the chance to visit for a few hours in December to renew our annual passes before our Disney cruise and only went into Epcot. 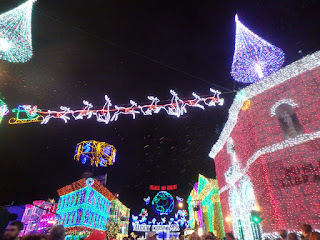 We knew this was the last year of the Osborne Family Spectacle of Dancing Lights, so we wanted to make sure we saw them while they were still up during this trip. 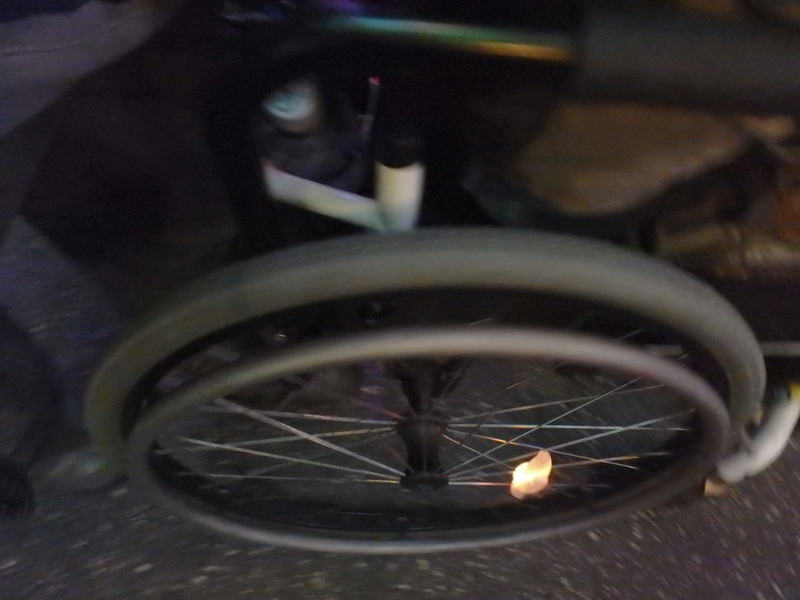 Mik really enjoys rolling through the streets and seeing the lights (including the ones on his wheels). They are especially fun to watch when they "dance" with the music. 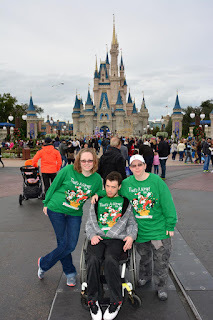 Definitely going to miss seeing them every year, but we are now thinking of having our annual visit as an extended family trip like this trip and probably won't be coming for the holiday season every year anymore. I enjoyed getting The Spectacle drink with a lightbulb ice cube. 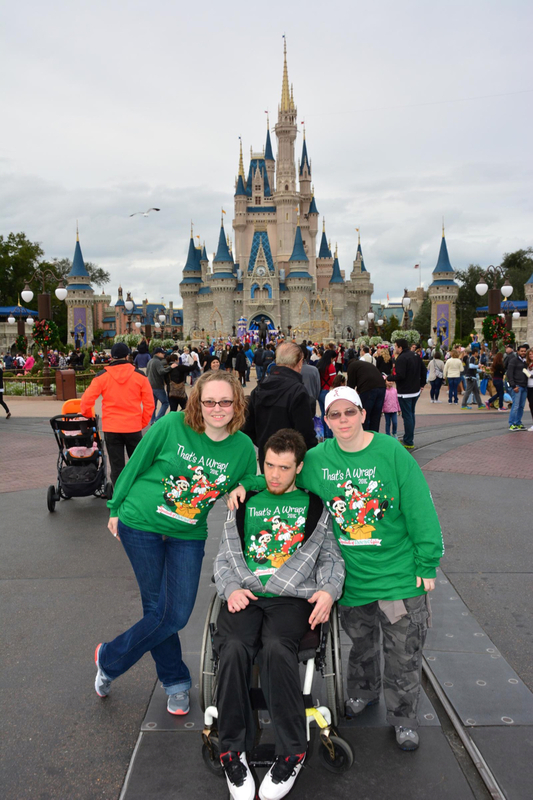 Also, the "That's A Wrap" shirts are cool, especially since we hadn't done a matching cousins photo in a long time (and we now get the PhotoPass photos free with our annual passes! ).